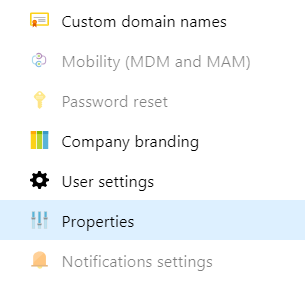 How to Find Tenant ID in Azure? 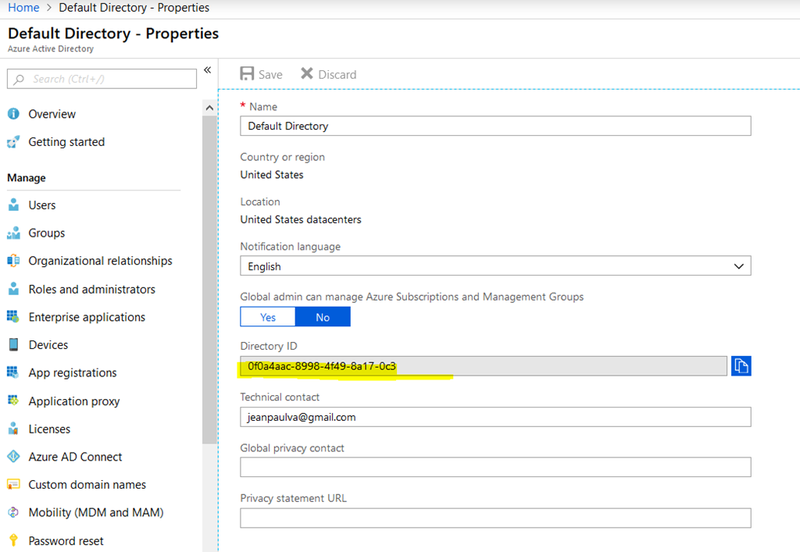 – Microsoft Azure Articles..
How to Find Tenant ID in Azure? This is a filler post to be used elsewhere. Open your Azure Portal. Click on Azure Active Directory. Click on the Properties from the left pane. In the appearing page you will see the Directory ID property. That is the Tenant ID! Next ›The Most Perfect CRUD Operations!